Matt Konkle is a Managing Director and Practice Leader of the Technology and Business Services Group. which has a focus on tech-enabled services, business process outsourcing, and managed services across the midmarket. His specialties include executing complex M&A transactions, strategic planning & execution, restructuring and complex financings. An accomplished C-level executive with over 20 years of experience in ecommerce, enterprise software, and business services, he has led businesses in all phases of the growth cycle from business formation through multiple strategic exits and reorganizations in both public and private companies. 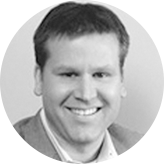 Matt is a recognized leader in the ecommerce services industry with deep operational experience in outsourced business models. Prior to his current role, Matt was President of Fifth Gear, a single-source provider of end-to-end ecommerce services including outsourced technology, fulfillment, customer care, and supply chain services. Matt led Fifth Gear from inception including the development of the company’s product and service offerings and go-to-market strategy. Before Fifth Gear, Matt was President of Sigma Micro, an enterprise software company specializing in order management technology for direct-to-consumer retailers. Matt has also held operational and financial leadership roles at Reverse911, an early warning notification platform sold to Golden Gate Capital and Aprimo, an enterprise marketing management software company sold to Teradata (NYSE: TDC). Matt holds a Bachelor of Science in Business Administration from the Indiana University Kelley School of Business and a Masters in Business Administration from the University of Chicago Booth School of Business. While not at work, Matt enjoys spending time with his family. He is also an avid Cubs fan and private pilot.